Your neighbors in the Greater Community can only be appreciated and understood through Knowledge and intrinsic relationship. Here you will not care what kind of technology they have. You will not care what they look like. You will only care about your experience of being with them. You have friends and you have adversaries in the Greater Community. Your people are very self-preoccupied with human life, human values, human organizations, human gods, human religious paths and human everything! Yet you must become wise and use Knowledge and not be bedazzled by new, grand experiences. The man and woman of Knowledge are not preoccupied with what things look like. They are only concerned with the task at hand. Your Spiritual Family exists in this world and in other worlds. They are not all humankind. You have a human family that raises you in the world, but you have a Spiritual Family that raises you in life. This Family is not all humankind. You are not entirely human. You belong to a greater reality. Being a human is not enough. When you have this perspective, you will know how to serve people because you will not be trapped in their identity dilemma. Passage from Wisdom from the Greater Community, Volume 1, Chapter 3. 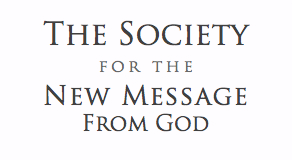 Join the Free School of the New Message to learn more about the reality of life beyond our world.